Description - The Continental Slate collection offers a low cost yet realistic looking slate tile that is incredibly easy to clean and maintain. 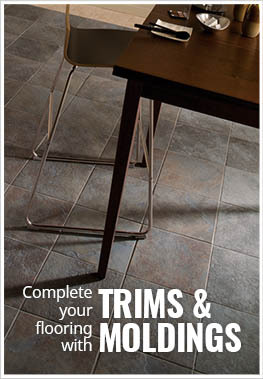 Unlike natural stone flooring, these tiles never have to be resealed and are constructed with increased durability. Constructed using a color porcelain, this means that if any damage is to occur to the top of the tile, you will not have bright white showing through as with other tiles. Rather, the color of the tile is to closely match the top porcelain surface, so damage is not as noticeable. Offered in multiple sizes and colors, you can mix and match to create a unique pattern. Material – Body Match porcelain tile. Size – Available as 6" x 6", 12" x 12", and 18" x 18" tiles. Application – Floors, walls, countertops, pool linings. Case Weight – Each 6x6 case weighs ~43 lbs, each 12x12 case weighs ~57 lbs, and each 18x18 case weighs ~67 lbs. Recommended Uses – Daltile's Continental Slate floor tiles are recommended for a variety of applications, including residential homes, bathrooms, kitchen flooring, bedroom floors, and more high traffic areas that need a touch of nature. Great for high traffic spaces. Random color variation from tile to tile.